In addition, security has been tightened in view of the 'Black Day' protests scheduled to be observed by the civil societies in Mizoram tomorrow against the contentious Citizenship Amendment Bill. 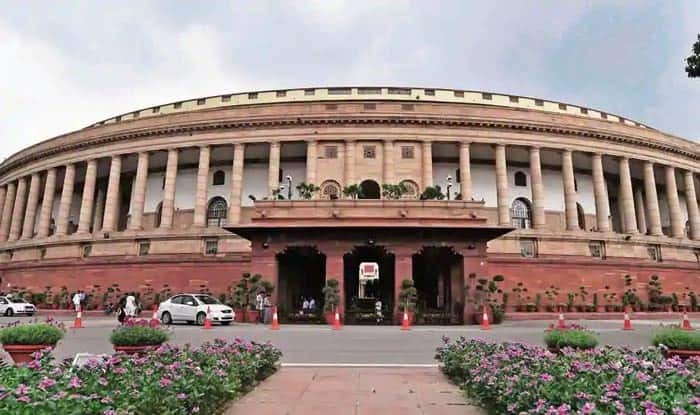 New Delhi: The Citizenship Bill, which aims to provide citizenship to illegal migrants from Afghanistan, Pakistan and Bangladesh, is likely to be tabled in Rajya Sabha on Tuesday amidst ongoing protests in Northeast. With the Winter Session set to end on Wednesday, the Central government will try to give the controversial bill one last push so that it gets the Upper House nod. Meanwhile, security has been tightened in view of the ‘Black Day’ protests scheduled to be observed by the civil societies in Mizoram tomorrow against the contentious Citizenship Amendment Bill. Security has been beefed up in Aizawl and over 50 big towns and villages across the state for the protest rallies to be organised under the aegis of the NGO Coordination Committee – the umbrella organisation of major civil societies and students’ bodies. NGO Coordination Committee leaders said that ‘black day’ would be observed in view of the Centre’s intention of passing the proposed amendment to the Citizenship Act, 1955 during the week in the Rajya Sabha. The leaders said that stir would be intensified if the Rajya Sabha passes the amendment Bill. The Bill has created a furore in Mizoram and kicked up a storm in the northeast. Indigenous people of the region are afraid that identity would be lost if the Bill was enacted. The civil societies are apprehending that the Bill would endanger the very existence of the sons of the soil — Mizos — as citizenship to around 1 lakh Buddhist Chakmas from Bangladesh would be granted. On Monday, six women sustained injuries when the police fired tear gas shells and smoke bombs at a marketplace here to disperse protesters, who had enforced a road blockade in Manipur’s Imphal demanding the immediate withdrawal of the citizenship bill. Notably, the bill seeks to amend the Citizenship Act, 1955, to grant Indian nationality to people belonging to minority communities — Hindus, Sikhs, Buddhists, Jains, Parsis and Christians — in Afghanistan, Bangladesh and Pakistan after six years of residence in India instead of 12, even if they don’t possess any proper document. This was an election promise of the BJP in 2014. The Bill was passed by the Lok Sabha on January 8 and has been awaiting the Rajya Sabha nod.